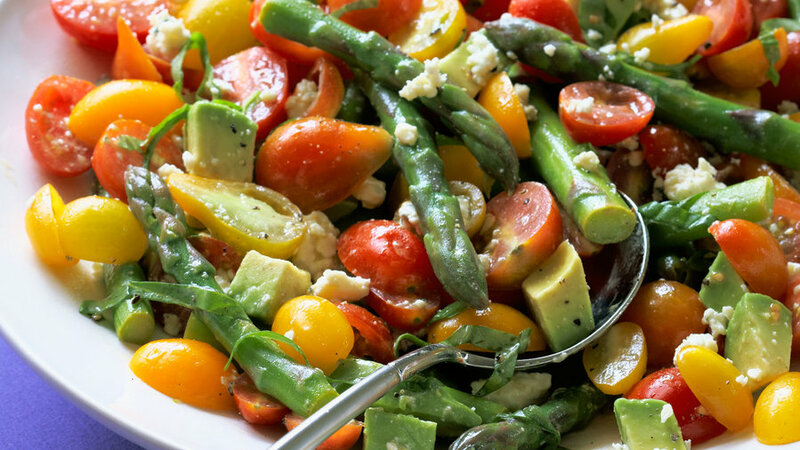 This works as a side dish or a gourmet appetizer. You can spoon the sauce over each bundle, or you can serve it on the side as shown for dipping. This simple side dish is a great contribution to a potluck. We suggest you keep the dressing separate until ready to serve. 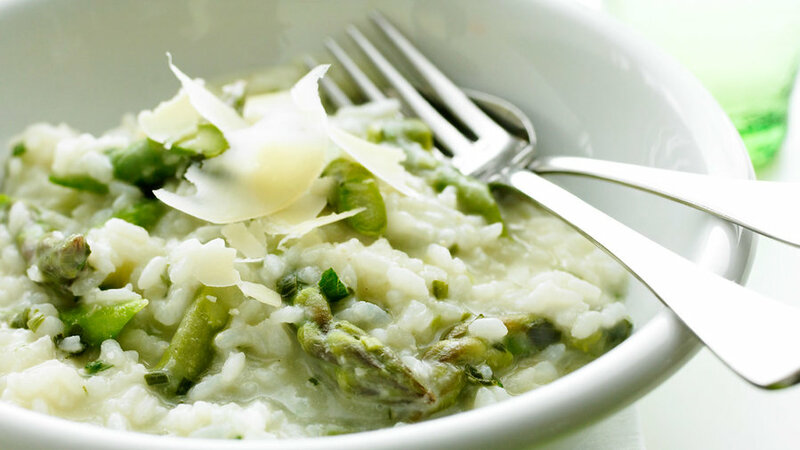 Who says risotto has to take a long time? This satisfying dish can be made in 30 minutes and works as a simple week night dinner or a decadent meal for serving to guests. 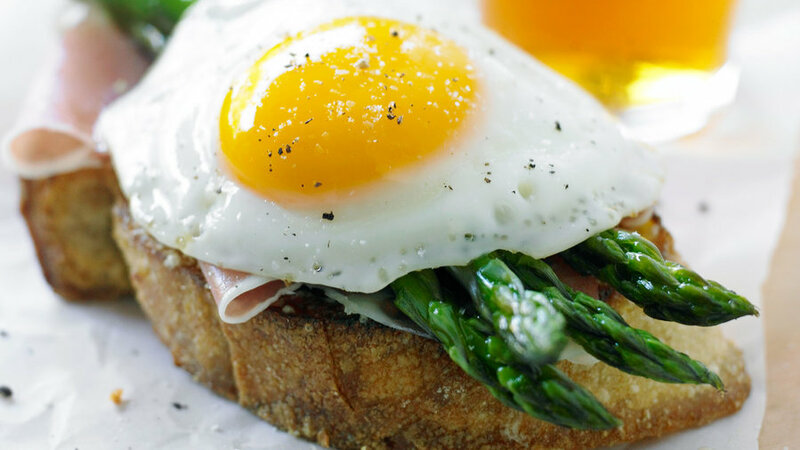 It could be breakfast or it could be lunch, but either way it’s absolutely delicious. We love it with thinly sliced prosciutto, but crisp bacon would be good, too. Forget chicken noodle. This fast and fresh version of Asian comfort food will warm you from head to toe. 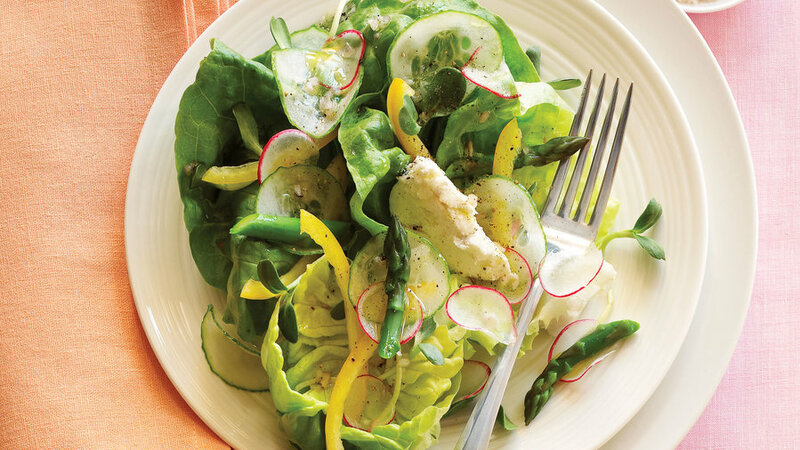 Asparagus and mini-mozzarella cheese are center stage in this spring salad. 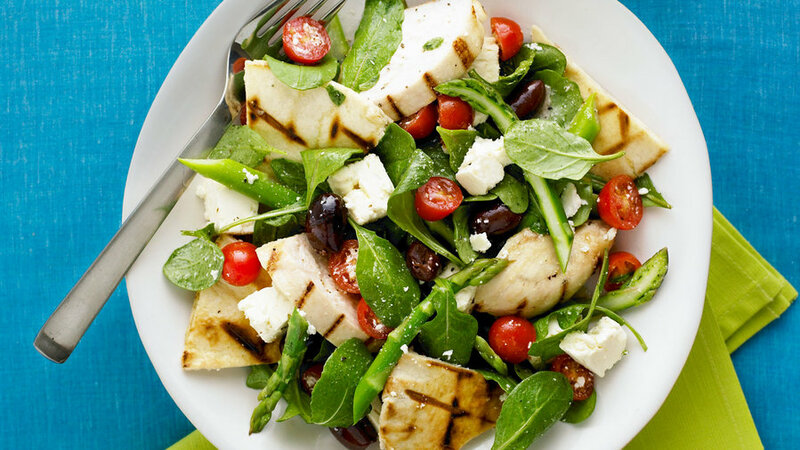 Pair with a crisp pinot grigio and a light pasta for a complete dinner. Eggs-made-easy is a good way to describe a frittata. 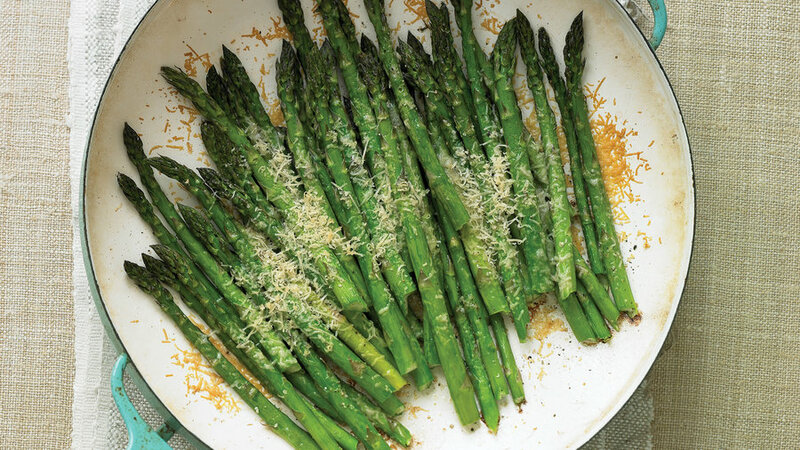 We’ve added nutty cheese and fresh asparagus to guarantee its overall appeal. 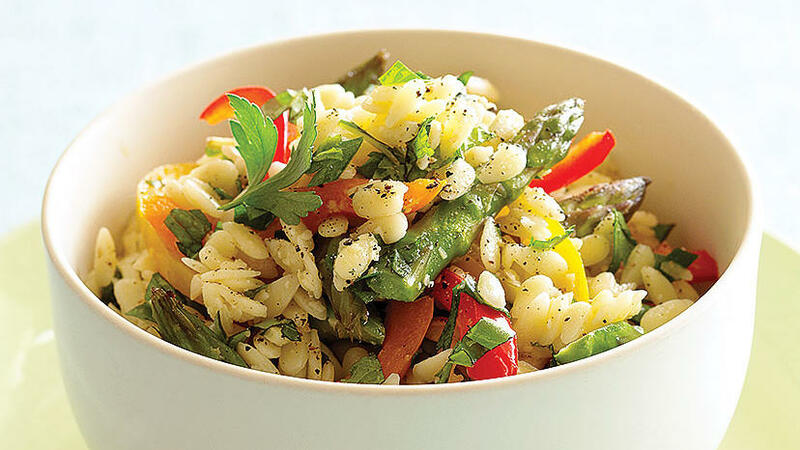 This a good recipe to have on file when you need to take something to a party, but the boring pasta salad just won’t do. Sunflower sprouts are large, leafy, and lovely in our spring version of a traditional garden salad. A large piece of local goat cheese adds just the right amount of creaminess, so you’ll forget it’s healthy. 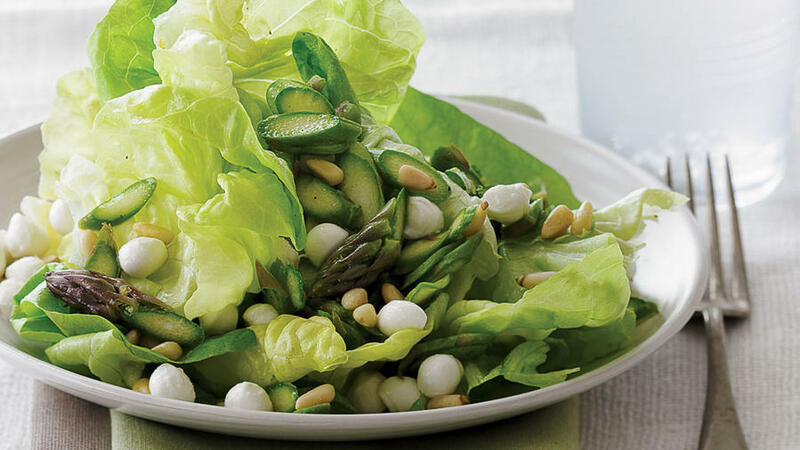 An updated version of a fattoush using purchased pita chips in place of crunchy croutons and seasonal asparagus, which gives a fresh-from-the-garden touch.